Discussion in 'Veterans' started by NemeSisWiberg, Apr 14, 2019. Ive kinda messed up my addons and I cant get it right again. I want a fresh start with addons now that I only focus on f2p 20's. Can I have a list of addons you veteran uses? H.H.T.D. (Healers Have to Die) to track enemy and friendly healers. I like Omnibar for tracking enemy CDs but iirc, nameplate cooldowns does the same thing. That and BG enemies are probably the only two I'd really recommend. The rest of the ones I use are all cosmetic. bg enemies, zperl, bartender, capping, omnibar and a few others like dbm etc. Edited for more precise reasonning. Might be useful for someone. Don't forget things like TomTom for the gps arrow in maps, an auto disenchanter if you find yourself disenchanting lots of stuff really often, AllTheThings is fun to have when exploring as a collector. GTFO is useful for everyone. 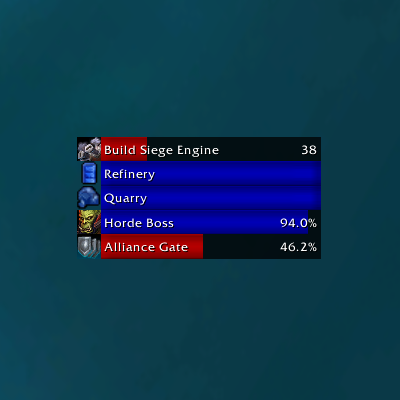 but the one addon above all addons that i prolly can't live without is SellJunk. now, i know there are lots of similar addons out there but this one is very simple and very effective for managing my limited inventory space. Then you arent reading playa. BattleGroundEnemies is definitely the best addon for tracking enemy team. You can also use it to track your own team, i don't though. It's simple to setup but you can really do a lot with it if you check it out.